My work focuses on identifying and characterising the effects of fluid mobilization in the subsurface, in order to understand the mechanisms that drive migration and expulsion events in marine sedimentary basins, e.g. tectonics and eustatic changes. I apply seismic stratigraphy and attribute analysis to investigate how low-permeability rocks act alternatively as seals or migration pathways. I also investigate the complex and variable interaction between fluids and evaporites in ‘salt giants’ basins such as the Mediterranean Messinian Salinity Crisis. An important part of my work is dedicated to understanding global mechanism leading to the formation and demise of these giant evaporitic basins in Earth’s history, and to analysing the related water fluxes and sediment budgets. My background is in sedimentology, sequence stratigraphy and petroleum geology. My PhD focused on the tectono-stratigraphic analysis of the Messinian evaporites in the Eastern Mediterranean. 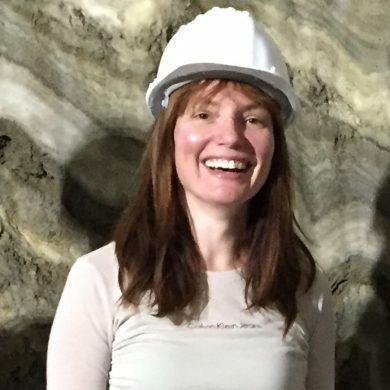 As an exploration geoscientist in the energy industry, I have applied the interpretation of integrated subsurface data to a variety of sedimentary basins, in the circum-European, Asia-Pacific and East Africa regions.